This summer, countless wide-eyed fans came for an experience of a lifetime with their favorite artists at the Mall of Asia Arena. The venue had one of its most jam-packed weeks of the year with back-to-back sold-out shows from some of the world’s biggest acts. 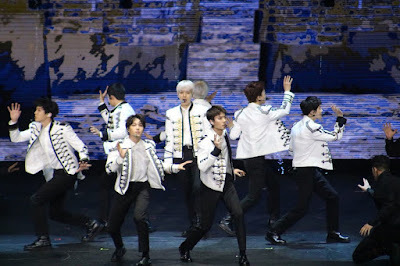 On April 28, passionate K-pop fans of EXO filled-up the Arena during the Elyxion concert, the 4th installment of the superstar group’s world tour. The multi-awarded K-pop band held a show complete with laser beams, a stylish bar, and light effects that matched their songs perfectly. With fans like EXO-Ls, the show took a mesmerizing turn as the audience made an ocean of silver with their light sticks moving to the beats of the band. After his last concert with One Direction in 2015, May 1 saw the return of Harry Styles to the Philippines with his first solo tour. Harry did not disappoint as he serenaded his fans with a powerful performance. 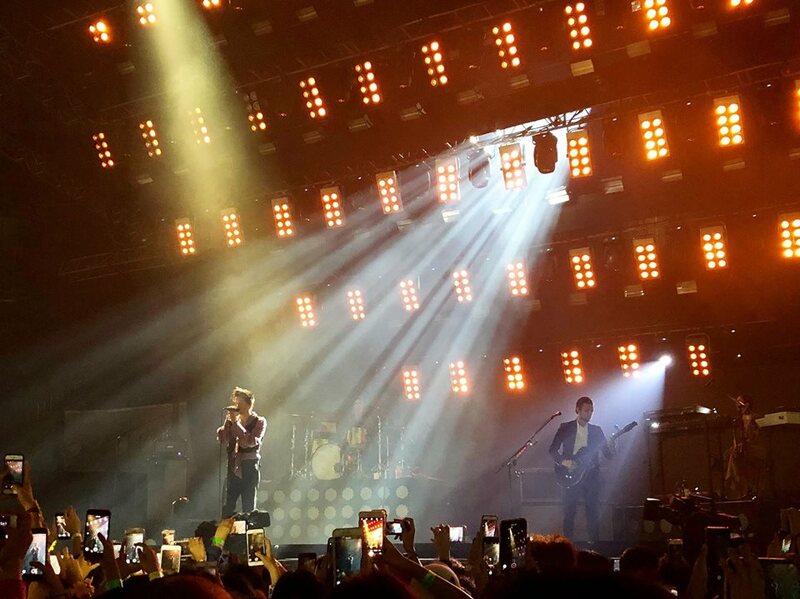 “I only have one job here, and that is to entertain all of you,” said Styles as he rocked the Arena with hits “Sign of the Times” and “Only Angel” from his self-titled album. Just a day after Harry’s show, the Arena was again filled with eager fans for another world-renowned performer: Bruno Mars. The concert kicked-off with a bang, as award-winning dance crew Jabawockeez took to the stage, and segued to Bruno Mars and his band, the Hooligans. The Grammy Award-winning artist brought the house down as he started off with his chart-topping hits “Finesse” and “24K Magic”. 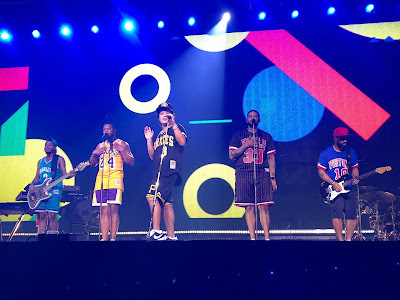 The 2-day concert attracted Bruno Mars fans including local celebrities Vicky Belo, Vice Ganda, Ogie Alcasid, Luis Manzano, Jessy Mendiola, Carmina Villaroel, power couple Marian Rivera and Dingdong Dantes, Jasmine Curtis-Smith and Maxene Magalona. Some of the celebrities came with their families and friends. The 24K Magic Tour Manila came to a close with Bruno dedicating “Just The Way You Are” to his beloved Filipino fans. Truly a tour to remember, his performance showered the crowd with gold confetti that matched his eclectic energy on stage. May marks the anniversary of the Mall of Asia Arena, which launched its first show in 2012, with Lady Gaga’s Born This Way Ball Tour. As Manila is currently a hot scene for world-renowned acts, the venue takes pride in continuously being a host to many live shows. True to the vision of the SM Group to bring quality entertainment to the Philippines, the Arena has now become a valuable partner to the nation’s top promoters and organizers who repeatedly chooses the Mall of Asia Arena as an avenue for their events. Apart from catering to various audiences, the Arena is also home to corporate brands - with partners like PLDT, Globe, Unilever, Solaire, LBC, Tanduay, Meralco, Powerstroke, ABS-CBN, 8990 Holdings, Belle Corporation and newly-boarded partners Peerless Products Manufacturing Corporation and Oriental Group Entertainment and Leisure, enjoying the venue’s shows, amenities, and advertising assets on a yearly basis. In the coming months, more anticipated events will happen at the Arena such as the PBA and UAAP finals, and concerts by popular artists like Niall Horan, Sam Smith, Paramore, Wanna One, Tiffany and Debbie Gibson, and Celine Dion. To keep updated on the Mall of Asia Arena announcements, visit www.mallofasia-arena.com or follow the official social media accounts at @moaarena. Jollibee Ube pie review. Yay or Nay? Did I Just Revive An 8-Year Old Gaming Mouse? !